In Under Dark Waters: Surviving the Titanic, Anna M. Evans juxtaposes the recent loss of her mother with comparable elements and incidents from the 1912 disaster. Evans traces an intricate trajectory from glory to grief by means of vividly imagined details about the people and animals on board the ill-fated ship, along with evidence that the operators’ blunders were avoidable. This is poetry of impressive artistry and formal mastery, with Evans in complete command of theme and craft. Under Dark Waters is a unique and spellbinding collection, and deservedly, the runner-up for the 2017 Able Muse Book Award. Anna M. Evans is one of the best practitioners of the sonnet and the sonnet series. Her series on the Titanic is one of the most memorable I have ever read. The technical difficulty of the poem is noteworthy, but it is the construction of the book, based on that poem as a centerpiece, that is genius. An earlier feminist poet went “diving into the wreck” of personal experience and gender politics. Now comes Anna M. Evans, diving into the wreck of the Titanic to illuminate both personal experience and the politics of social class. Working at the height of her remarkable poetic powers, Evans fuses the historical voyage of the doomed luxury liner with the personal (her mother’s fatal illness) and the political (class inequality, resonating with our own disastrous era). The result is one of the best, most unforgettable books I have read in years. 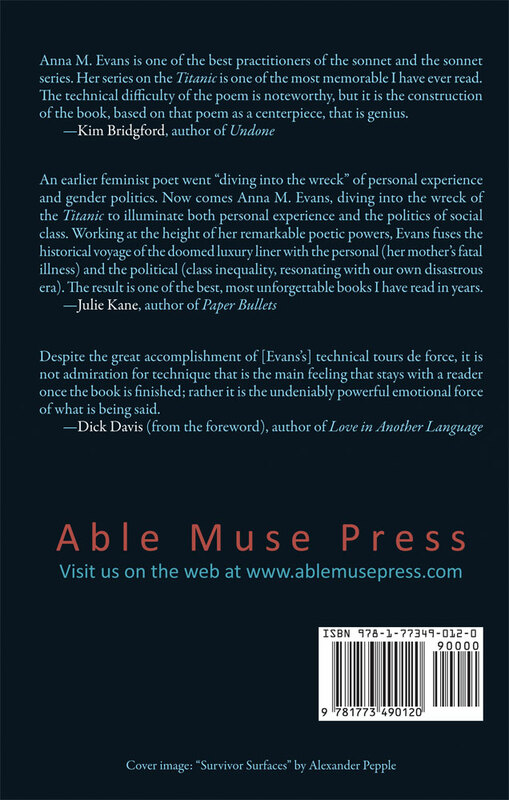 Despite the great accomplishment of [Evans’s] technical tours de force, it is not admiration for technique that is the main feeling that stays with a reader once the book is finished, rather it is the undeniably powerful emotional force of what is being said. 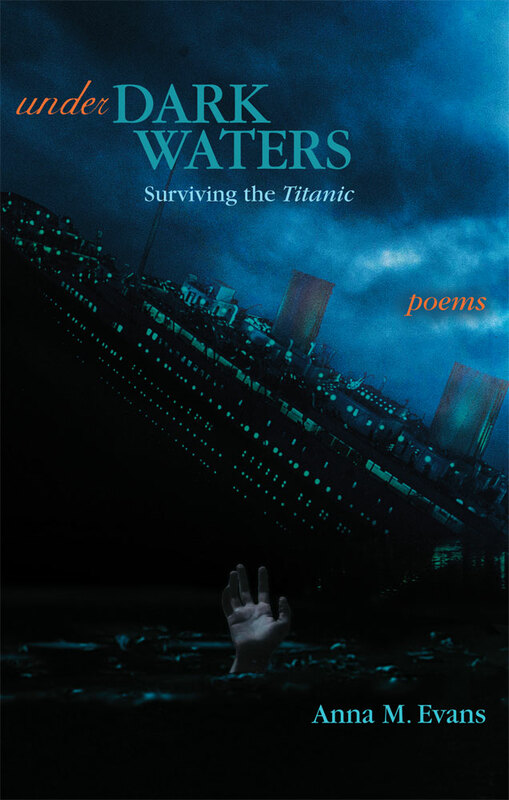 Under Dark Waters: Surviving the Titanic was the runner-up for the 2017 Able Muse Book Award.